Many thanks to Tom Shanahan for his words of wisdom Tuesday night, enjoyed by everyone. Great spin tonight at the Wednesday Night Light Cycle. Weather was perfect at 6.30pm for the start of the cycle, no wind or rain. Out cycling were Janette Murphy, Mary McCarthy, Jerry Herbert, Paul Gammell, Willie McCarthy, Mike Houlihan, Mike Murphy, Jerry Ryan, Mike Sexton, Robert Shanahan, and Michael Reale. “Turbo Thursday”. SWW Turbo Training classes start on Thursday 26th Jan at 7.00pm in Bruree Hall. Bring your bike, turbo trainer, towel, and drinks. If you don’t have a turbo come along anyway, we plan to share all available turbos. 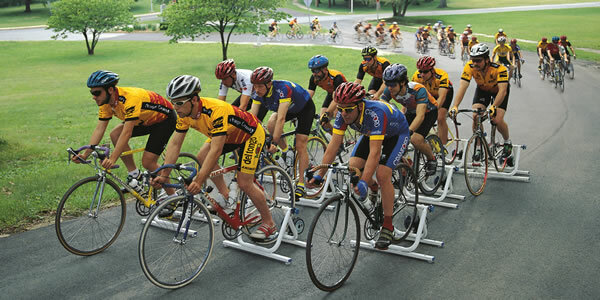 Great training for guys, gals and underage cyclists. Saturday January 21 The early bird catches the worm! (or just gets home earlier). Brendan Houlihan & Shane O’Brien left Kilmallock at 8.00am for a 55k spin over the mountains and home. The clock was ticking! Out cycling at 9.30am were Sean Burchill, Jerry Ryan, Jonathan Moloney, Marie Hartnett and Louise Broughton. Well done everyone. We had a super turnout for last Sunday’s cycle with twenty four club members raring to go at 8.30am. Three groups were assembled, taking care of everyone’s training ambitions. With lights still on we headed for Bruff, Ballyneety, Raheen, Patrickswell, Adare, Croom, Athlacca, Bruree, Charleville and home. While it was windy, the rain stayed away and we were even treated to some sunshine as the morning progressed. As DC might say, “It was sweet as a nut”. Club members in action were Willie & Mary McCarthy, Ber & Paul Gammell, Jan & Tadhg Murphy ,Stephen Heihr, Paul Finn, Mike Gammell, Brendan Daly, Michelle Gammell, Mike Sexton, Martin Lake, Donal Kelly, Doll Reale, Ger Finn, Jerry Ryan, Sean Burchill, John Carey, Brendan Houlihan, Daithi Creedon, Stephen Finn, Shane O’Brien and new recruit Mike Meade. Great stuff boys and girls. New members are always welcome, bring abike, helmet and a smile and you’re in. Obviously a good smattering of Lycra would be advisable too, we wouldn’t want you getting arrested. We have an easy paced cycle at 9.30 every Saturday morning. Our main weekly cycle every Sunday morning at 8.30. Midweek we have our “Wednesday Night Light Cycle” at 6.30pm, as the name suggests cyclists need a good front and back light and hi-vis clothing. The route is around the perimeter of the town and will benefit in part from street lighting. All cycles start from the carpark beside Kilmallock Cycles. 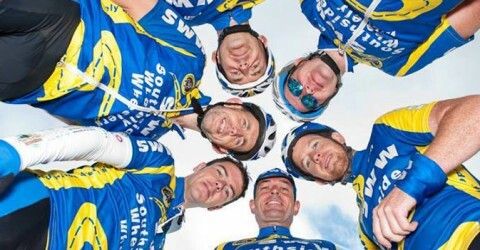 Keep an eye on the club website www.southsidewheelywheelers.com for news. Expert cyclist Tom Shanahan is coming to Deebert Hotel next Tuesday 24th January at 7.00pm. All club members welcome. Tom will be advising members intersted in racing and he’ll answer any cycling questions you may have as well as general tips and advice for all. Underage cycling re-starts Saturday 28th January at 3.00pm. Please contact Paul at Kilmallock Cycles for details. The cut off date for ordering new SWW gear, jersey, shorts etc is Friday 27th January. Please call into Paul in Kilmallock Cycles to place your order. Come on ladies, get the bikes out. Inviting all ladies, club members or just thinking about starting to join us for a spin. A leisurely spin leaves the car park beside Kilmallock Cycles at 9.30am every Saturday and our main club cycle from the same spot at 8.30am on Sunday mornings. The Sunday spin has a group for everyone so please come on and give it a try. Contact Jan Murphy at 087 2968173 for more info.